It is not uncommon for painful experiences during wound manipulation to be recorded as traumatic memories. Fear of pain during treatment produces anticipatory anxiety in patients, which greatly limits their quality of life. In addition, this anxiety can condition the evolution of the wound, as it may cause patient avoidance of invasive interventions that promote healing, such as sharp debridement. Commonly, when we think of analgesia, just systemic pharmacological treatment options come to mind. However, we are not always so aware of the adverse effects of these drugs, which is fundamental considering that patients with chronic wounds are usually older, with multiple comorbidities and multiple medications. In previous entries I have talked about local analgesic treatments that we use daily in our clinical practice, such as EMLA cream, sevoflurane in irrigation or punch grafting. However, there are non-pharmacological and non-invasive techniques, some very easily applicable in any wound clinic, which can be very beneficial as an adjuvant treatment in our patients. Since it is a topic that I have just spoken about this weekend at the XIV meeting of the Dermatology and Psychiatry group of the AEDV, I am going to dedicate this post to it. The benefit of these non-pharmacological analgesic strategies has been studied predominantly in burn units and children. The techniques that we mostly use in wound clinics, even without being aware of it, are those of distraction. Distraction aims to decrease pain by diverting attention away from the procedure being performed.1 This is explained by the pain gate theory: sensory stimuli from the new focus compete with painful stimuli for brain transmission, thus pain threshold increases. In addition to reducing pain and anxiety, distraction can reduce the time of interventions, as the patient collaborates more. 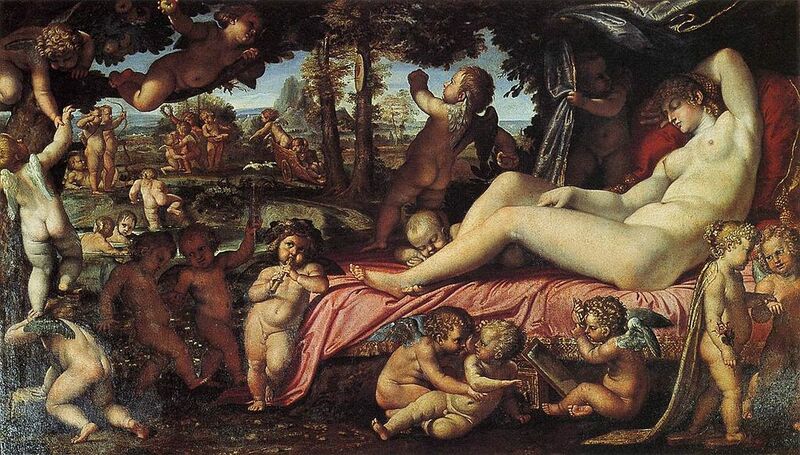 I have already dedicated a post to music (What if we heal with music?) But I want to talk about it again because the music in our clinical practice can be very profitable, we don’t have to limit ourselves to passive listening. The ideal situation would be to have a music therapist by our side. As this is normally impossible, we can encourage patient distraction by inviting them to choose the type of music they want to listen to, to sing their favourite songs or to take deep breaths accompanying the rhythm of the music. Music can also be an excuse to talk with them about musical tastes. It is important to remember the distracting power of conversation, which we use daily in our clinic. The studies conducted, predominantly in children, point to a greater benefit of active methods. However, although conversation with parents is not as distracting as video games, it is effective in reducing anxiety and pain perception.2 If several professionals participate in dressing changes , it is very interesting that one engages in active distraction, predominantly with conversation. 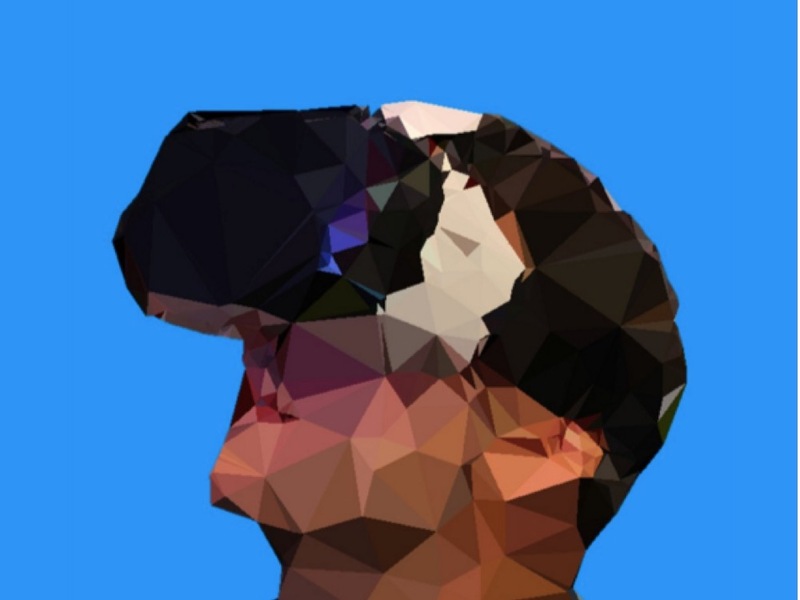 Regarding innovative techniques, virtual reality is proving to be a very useful distraction technique, producing in the patient the illusion of being immersed in a completely different place.1,3 Virtual reality distraction, once developed and implanted in a wound centre, could be easily applicable in clinical practice, without much added effort or associated time. Distraction by skin hyperstimulation, which has been predominantly described to relieve pain during injections,4 can also be very useful during invasive procedures in wound healing when there are several professionals or family members. There are different techniques, but we usually use pinching or pressure on the thigh or arm. The nerve impulses that we produce with this stimulation, if they are intense enough, can alleviate pain sensation. Hypnosis is a tool to alter the state of consciousness and to achieve a more suggestible situation.1 Basically, it is just another distraction technique. One of the protocols most used by professionals who use hypnosis in patients with wounds is the so-called “rapid induction of analgesia”(RIA),7 often with modifications, which achieves muscle relaxation and analgesia in a short period of time. Many professionals combine methods, such as relaxation, and use the suggestive force of reassuring words to generate positive sensations in the patient. It should be borne in mind that many people are not suggestible, so hypnosis in them is not effective. To finish this entry on pain, a brief comment on its registration. In order to measure pain, different scales and questionnaires have been validated for clinical use and research. The visual analogue scale (VAS) is theoretically the best known but, in fact, it is the least used, as adaptations are normally used to facilitate its use, adding expressive faces or numbers. If we are purists, VAS for pain is a 10 cm line without marks or numbers. At one end there is “no pain” and at the other end there is “maximum pain”. Since patients with wounds are, in a high percentage, elderly people, this scale may not be understood. 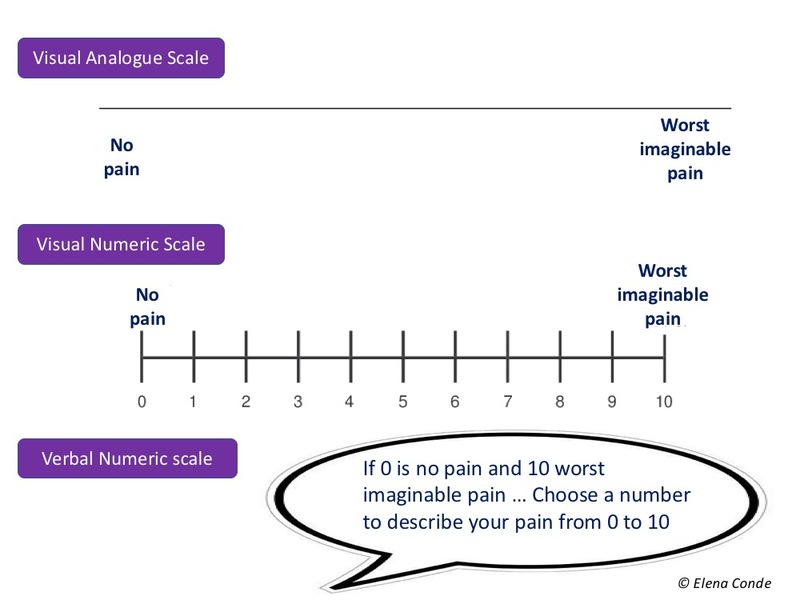 Consequently we use the numerical scale, visual or verbal, so that the patient expresses his perception of pain from 0 (no pain) to 10 (worst pain imaginable). When asked, we have to clarify what type of pain we want him to score: basal, irruptive (pain peaks) or procedural (pain associated with the procedure). In research studies it is important to evaluate anxiety with scales or specific questionnaires, since pain and anxiety are intimately linked in our patients with wounds. Which techniques do you find most useful in your practice?